How do I update WP Google Maps? This article covers updating WP Google Maps and is current for WP Google Maps Version 6. 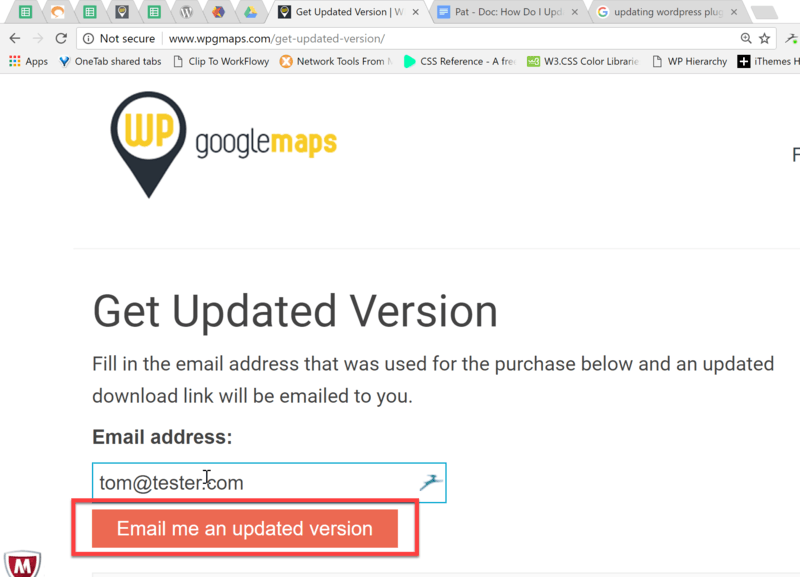 You can update your WP Google Maps add-ons just as you upgrade any other WordPress plugin. First, you can update them from WordPress Dashboard → Updates. 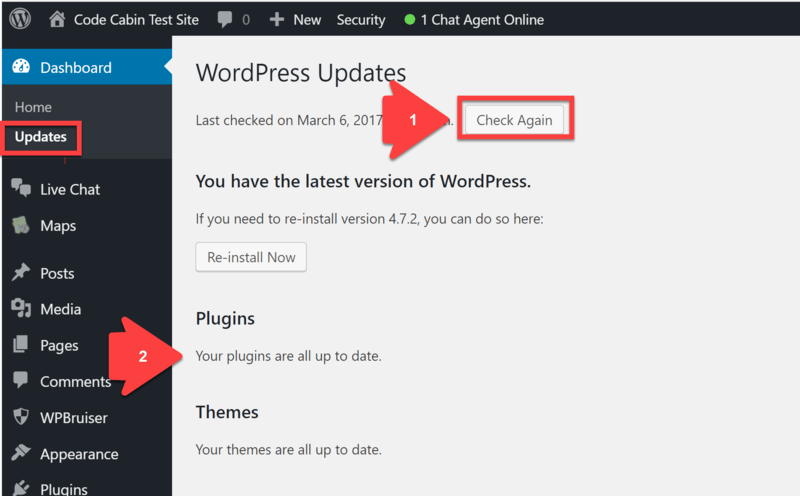 On the WordPress Updates panel, click the Check Again button. If there are any updates to your installed plugins, including WP Google Maps and its add-ons, they will appear in the listing in the Plugins section of the page. You can update them individually or in bulk by selecting the plugins you want to update and clicking the Update Plugins button. The second way to update your plugins is from WordPress Dashboard → Plugins → Installed Plugins. If there are any plugins that need be updated, they will have a highlighted message below the plugin entry in the Plugins list, saying that there is an update available. Click the Update Plugin link to update that plugin. Finally, if for some reason your plugin listing is not showing an available update and you believe one is available, you can request a new download link on this page. Enter the email address you used to purchase the plugin(s) and click the Email me an updated version button. After you’ve downloaded the new plugins you can unzip them and copy over the existing plugins using FTP. (You’ll find them in the /wp-content/plugins/ folder.) Or you can delete the existing plugins and install the new downloads.